It was so fun putting together this nursery for our first born. 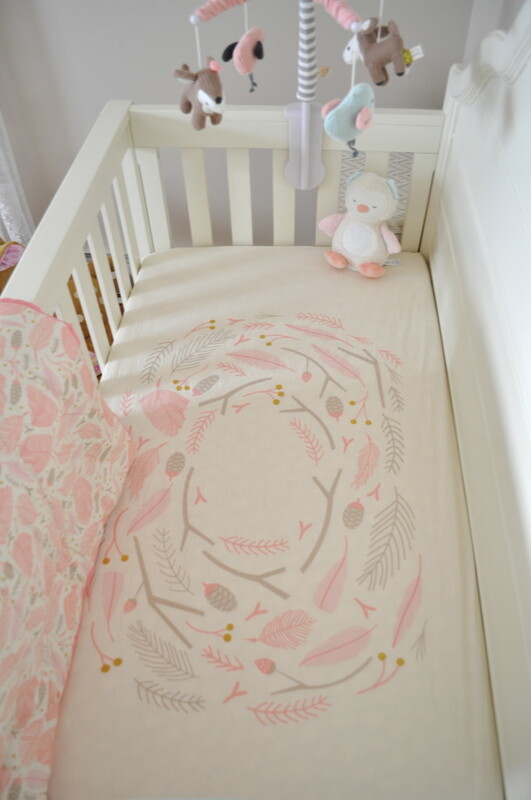 We wanted a feminine nursery with woodland accents. All items were hand selected from a variety of stores to keep the room unique and personal. Our idea was for the nursery to be transitional for Emerson as she grows. Furnishings and accents were chosen with a less juvenile feel with the hope that she will enjoy them for years to come. Curtains- Vintage curtains from Emerson's great grandmother. My favorite items are the most personal ones. The vintage curtains came from my grandparents house add a personal and sentimental touch to the nursery. The felt on fabric art is another favorite. Designed especially for Emerson by our sister-in-law and the artist. The lamp, which the first piece selected for the nursery. Purchased early on in the pregnancy with the thought of "I can always return this if the baby is a boy". The lampshade was a DIY project by Emerson's grandmother. Hello! My name is Janae and I am a marketing specialist from Best Chairs Storytime Series. We’re so excited you chose on of our chairs for your nursery and would love to feature your nursery on our website! Please email me at [email protected] if you are interested. Thank you! Love the paint color. What is it? It is a perfect soft/ warmer neutral ! Where is the owl from that sits in the crib? Also wondering where you got the glass bird that is on top of the dresser? LOVE this nursery! Paint color has been added. Sherwin Williams- Simplify Beige! Where is that beautiful crib sheet from? Can you tell me where I can purchase the bedding and mobile? Where is the bedding from? Love love love! Love this nursery! What is the brand, style and color of the glider? Where is the deer stuffed animal from?! Thanks!